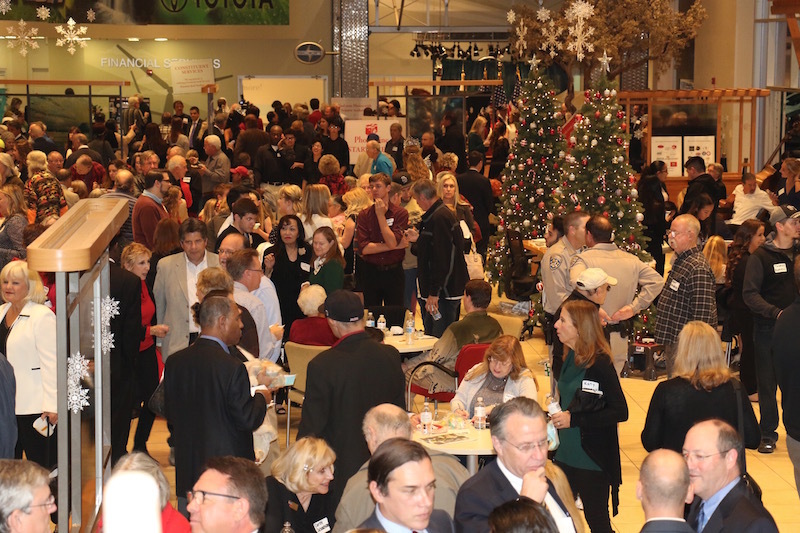 California State Senator Joel Anderson’s 2015 Holiday Open House was held on Dec. 10, and thousands came from all across the county and beyond to Toyota of El Cajon to meet and share their thoughts on state government with Anderson. The open house was an opportunity for constituents to exchange ideas, celebrate the holiday spirit and receive a legislative update from the past year. Booths and tables were scattered throughout the showroom for constituents to submit ideas, legislative proposals, and problems they feel that need to be addressed. An essential part to any holiday celebration is food. Local businesses and organizations donated their time and services to provide delicious food and joyful entertainment for the guests as they mingled with other community members. One of these generous businesses was La Mesa’s Dream Dinners, who was named the fourth fastest growing store in the national chain earlier this year. Dream Dinners is a one of a kind, one-stop shop that eliminates the hassle of prep work and cleaning at the home to provide nutritious home-cooked meals. Dream Dinners allows the cook to spend time with their loved ones as opposed to slaving over the stove. Anderson had the privilege of having the innovative Dream Dinners attend last year’s Open House as well. This year was the eighth annual Holiday Legislative Open House hosted by Anderson. This unique opportunity allows for constituents to get involved in their state government and have their voices heard. Any La Mesans who missed the event can still share their legislative ideas with Anderson by calling 619-596-3136 or emailing Senator.Anderson@senate.ca.gov. ––Paloma Monesi is a legislative intern for Senator Anderson and sophomore studying political science at SDSU.